"Essential software for small RIAs"
SmartRIA is easy to use, provides a secure repository for all my client data, and provides a wealth of compliance resources and reminders. The software is new and there are still non-essential features that need to be added, like sort on file name. 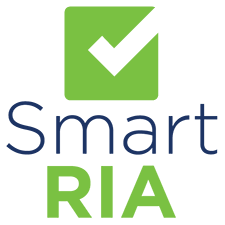 I maintain all my client, contractor, employee and other essential files in SmartRIA. I have used it to have my outside compliance consultant provide an document review. From this I have identified numerous changes to policy and procedures. Better that problems are identified and corrected now than when the State Securities Board decides to pay a visit. "CCO and Managing Principal for Independent RIA "
Insightful automation for compliance organization. Early use requires a bit of a learning curve. Quick-start guide or FAQ should be built based on feedback. With that said, I know I was an early adopter in this software. Be sure to take advantage of support from smart-RIA as it relates to your specific practice. There is a good amount of customization that can be done based on your needs. Automating compliance tasks for an independent RIA firm in a cost-effective and centralized manner. I would like the software to do our billing and invoicing. Consider the value it adds to your practice through the electronic client files, compliance records, and data downloads. It makes a practice much more transparent and portable, which in turn makes it more valuable. I have much more time available now that the software automates my compliance tasks. "Financial planner since 1977. LLC firm sole owner since 2006." Smart RIA offers a process to keep the Compliance officer on track year to year. Needed a User Manual at the outset... I believe there is one now. Completed our first state-level 3-day examination in 2 days. First examination in 10 years, so it was nice to be ready. "Great program that offers compliance, asset review and CRM"
* We monitor all Smart RIA reviews to prevent fraudulent reviews and keep review quality high. We do not post reviews by company employees or direct competitors. Validated reviews require the user to submit a screenshot of the product containing their user ID, in order to verify a user is an actual user of the product. Hi there! Are you looking to implement a solution like Smart RIA?